Crispy Pomfret is an excellent dinner dish. When cooked low to medium heat to achieve the crispiest results, the side bones turn so crispy that you can eat them like chips -- definitely a good source of calcium. Thaw your pomfret if it is frozen. Score across the body on both sides, 3-4 scores. 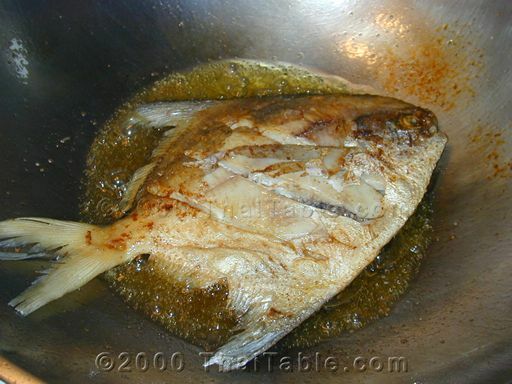 I find the wok to be the best for frying pomfret. 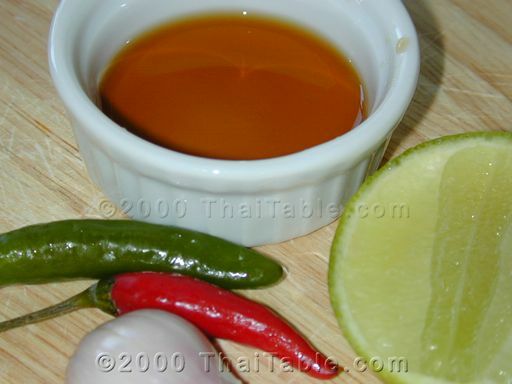 Heat the oil in medium to low heat. 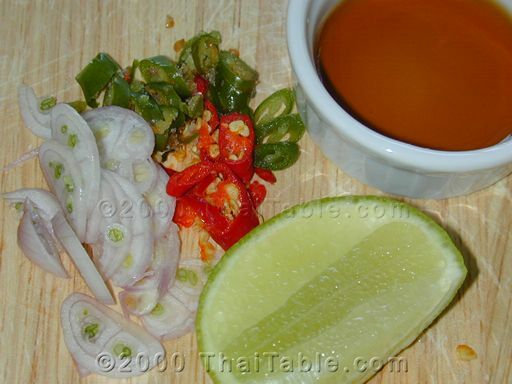 The oil should come up to the side of the fish. 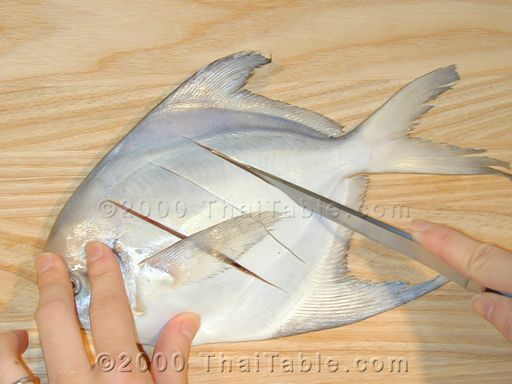 Add the pomfret and turn the heat down. It takes about 10 minutes on each side. Watch out for the splatter. 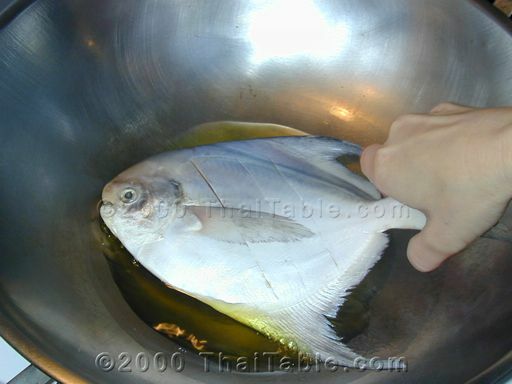 To turn the fish, slowly scrape the bottom of the pan to loosen the fish. If the fish is ready, it should be very easy to do so. The trick to cripy pomfret is low heat. This may take awhile, but the result is well worthwhile. 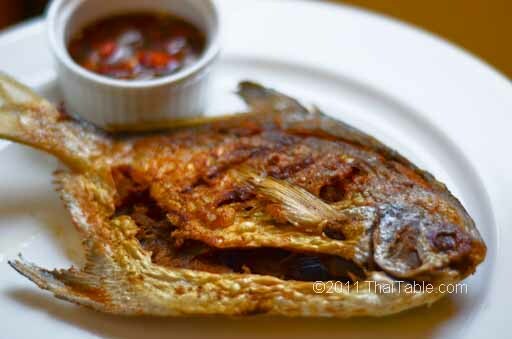 Crispy pomfret is eaten with rice and chili fish sauce.